More than 1000 People were cheated by the Company Affordable Sales Promotions PVT LTD. D 86, 1st Floor, with there Complete Fraud Promotions Online through CLICKINDIA.com and other Platforms for the Last Two years. For the NEWS REPORTERS here are the LINKS to Follow how these people are Cheating People. NOTE : Relevent Screeshots from DTDC website is attached , as they might manipulate further ! I was investigating with all the Possibilities , that leads to a two year long Fraud going Online and was struck upon the findings in the intial stage . It also leads to a very highly organised Fraud , through online websites and some of the Big Corporates / Influential Persons were involved in this. The Shocking Fact is that Even Courier Company like DTDC were involved in this . When I raised the Susspicion of my Parcel to the Fraud Company , Who exist in the Said Address , but tey use to return back the Parcel by Paying the DTDC Courier Office by Puting " Company Shifted" Reason. When I inquired and sent the Tracking number K57338221 it says Company Shifted. Which is a regular cause to hide the Fraud Company. The Involvoment of DTDC in this Fraud was confirmed as on the very next day of my Mails to the involved Companies including the Tracking Number. 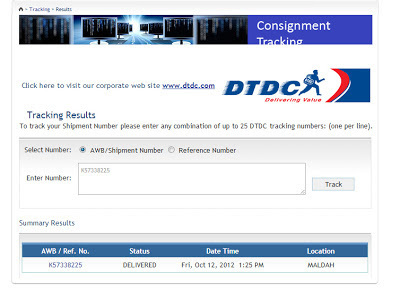 Now when the Tracking number K57338221 is checked at DTDC Website it shows Reverted without the DATE Time (unbeliable???) and on clicking further for the details An predefioned and intentionally modified error message comes out i.e SYSTEM ERROR (see the snapshot pictures attached ).. this Link was working very fine with the said details but now a deliberate attempt to hide the tracking code !! 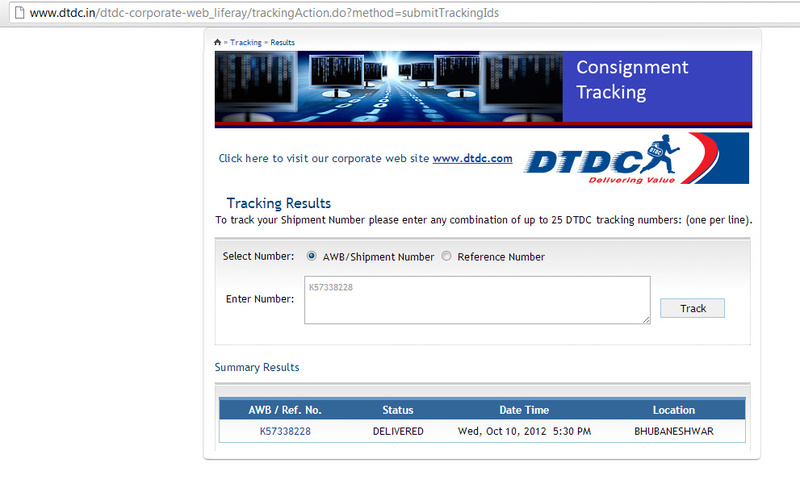 Doing this type of mischivieous and criminal activity is seen very clearly , when We checked out other Tracking Code on the Website which is showing the DEtails of the Courier i.e the Date of the Delivery (status) and also the Complete Logistic Flow of the Consignment. Eg for tracking K57338225 it shows date/time Fri Oct 12,2012 and on clicking Further it shows the Details , unlike it shows system Error for tracking K57338221. It is very much Ovious from the aforesaid reasons tha DTDC is doing the Fraud Partnership with the Company Affordable Sales Promotions Pvt Ltd. to hide Couriers sent to there address and vanishing any records there in. We need a clear Clarification on this serious issue and tracking for all the previous records (parcel) to the Said Fraud Company Address is been asked. 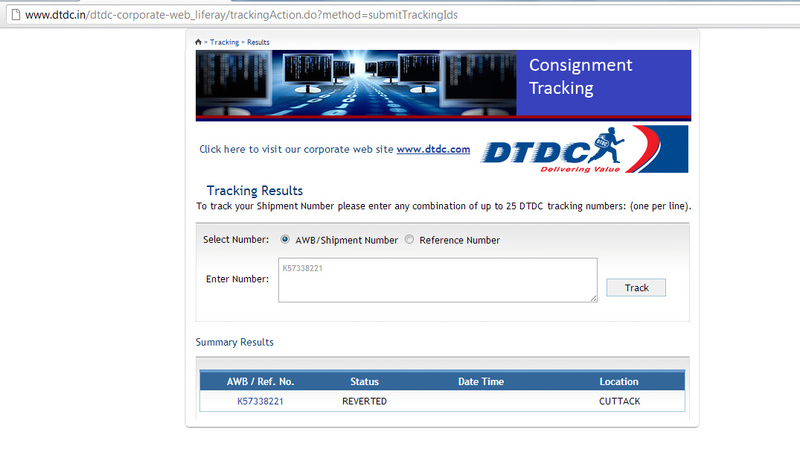 Also If the Parcel was Reverted back to Cuttack, Why the Courier Office doesnot have the Whearabouts for the same. The Copy of this Email is sent for the Media including Newspaper, Govt. Investigating Agencies, and Consumer Forum Govt Of India for Further Auditing.